(Heerbrugg, Switzerland/Sunnyvale, USA, 26 September, 2017) – Leica Geosystems, industry leader in measurement technology, and Matterport, the world’s leading cloud-based 3D media company, today announced a partnership to deliver a fast, simple solution for creating, modifying, distributing, and navigating immersive 3D and digital images. The effort is aimed at the Architecture, Engineering and Construction (AEC) sector. The new partnership between Leica Geosystems and Matterport is focused on integrating the Leica BLK360 imaging laser scanner, encompassing Multivista’s construction progress documentation services, into Matterport’s cloud-based platform. The partnership is focused on integrating the new Leica BLK360 imaging laser scanner and encompassing Multivista’s construction progress documentation services into Matterport’s cloud-based platform. 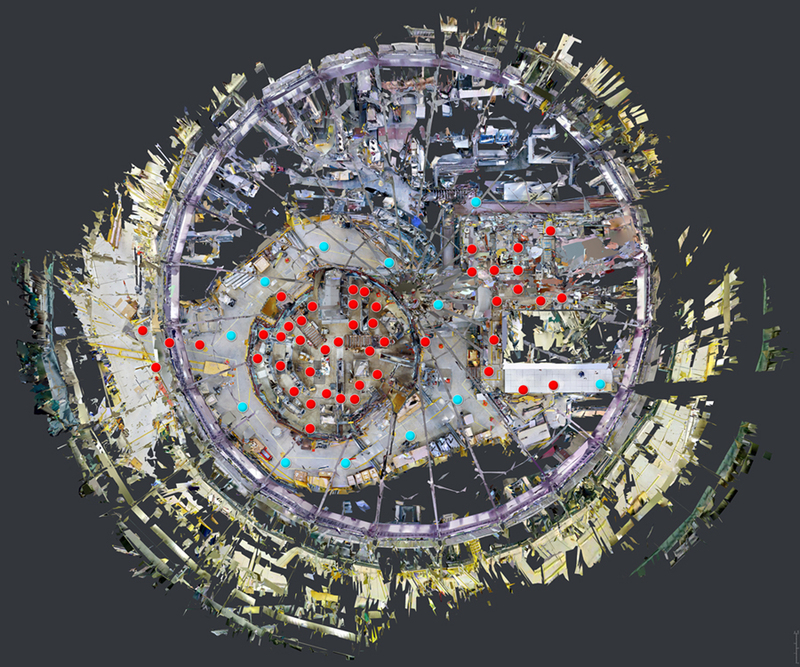 The solution is expected to offer an easy, flexible and automated way of capturing detailed images and using the resulting data to create immersive 3D visualisations. The integration of technologies from Leica Geosystems and Matterport is designed to create a complete solution that simplifies capture, automates reconstruction and provides the ability to integrate third-party apps. It is further amplified by artificial intelligence (AI) technology which provides an added level of intelligence, automation, and time savings. The extremely simple user experience includes real-time feedback and is designed to enable the capture and confirmation of images and 3D data from both the BLK360 imaging laser scanner and Matterport Pro2 camera on-site, resulting in lower costs, less time on site, and quicker deployment across a distributed set of projects. For the customer, this means not only a revolutionary new way to capture a space but, in addition, it enables immersive visualisation and the most state-of-the-art way to interact and collaborate around a real-world space. “We are excited to be aligning with the market-leaders to integrate the new BLK360 imaging laser scanner and support end-user applications to serve a broader range of use cases," said Bill Brown, Matterport CEO. "As the leader in next-gen 3D reality capture and distribution, we are focused on offering an end-to-end platform that is extremely easy to use, quick, and inexpensive. Our new part-nership with Leica Geosystems plus our recent Multivista partnership are huge steps forward in this platform development."